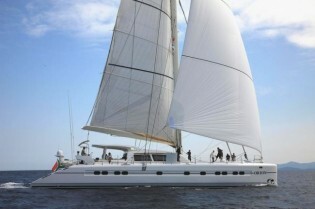 Special Winter Rates for Sailing Catamaran ORION – Superyachts News, Luxury Yachts, Charter & Yachts for Sale. 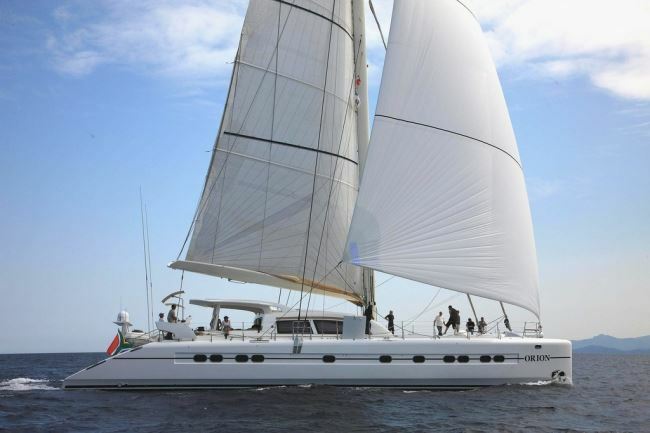 The Catana 90 sailing catamaran ORION is offering 20% off yacht charters booked before January 15th and 10% off charters booked before January 31st 2016, cruising the warm and beautiful Caribbean islands. Launched in 2008, the 27,4-metre ORION provides spacious accommodation for eight guests in four luxury cabins, all with en suite bathroom facilities and a professional and friendly crew on board. One of the special features of ORION is her master cabins, which is connected to a children’s cabin, also called as the Pirate’s Den, with two single beds . This accommodation arrangement is ideal for families with children, or a nanny. Her interior is characterised by a contemporary style, with inviting warm deco. Honey-toned woods are combined with cream leather furnishings and ample natural light penetrates to the interior of the yacht, creating an open, airy ambience. Open plan dining and saloon are perfect for relaxation and formal dining, with the lounge located to starboard and the dining area to port and forward. Port and aft is the well-equipped galley where ORION’s talented Chef creates a selection of mouth-watering dishes to satisfy even the most discerning of clients. The galley is fitted with a glass-top breakfast bar, perfect for evening cocktails and nibbles. There is plenty of living space on the exterior thanks to the yacht’s 11,66-metre beam. Adjacent to the saloon is the fabulous aft cockpit offering shade, ample seating and an al fresco dining possibility. Guest can comfortably reach the vast for deck area at anchor, or while under sail, where two large trampolines await to relax or sunbathe.